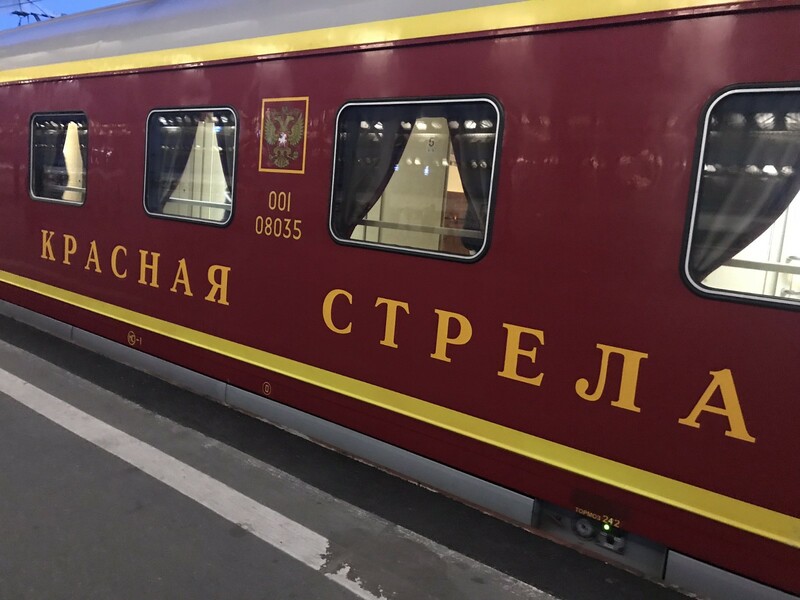 This is the second part of a series about my trip across Russia on the Trans-Siberian Railway in the summer of 2018. 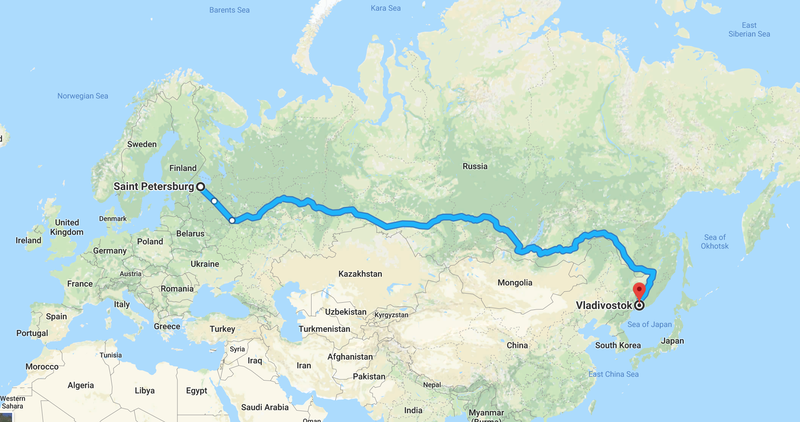 I’ll cover the overnight ride from St Petersburg to Moscow, the 16 hours I spent in the Russian capital, and the two-day ride from Moscow to Yekaterinburg. The route of my trip along the Trans-Siberian Railway, from St Petersburg to Vladivostok. 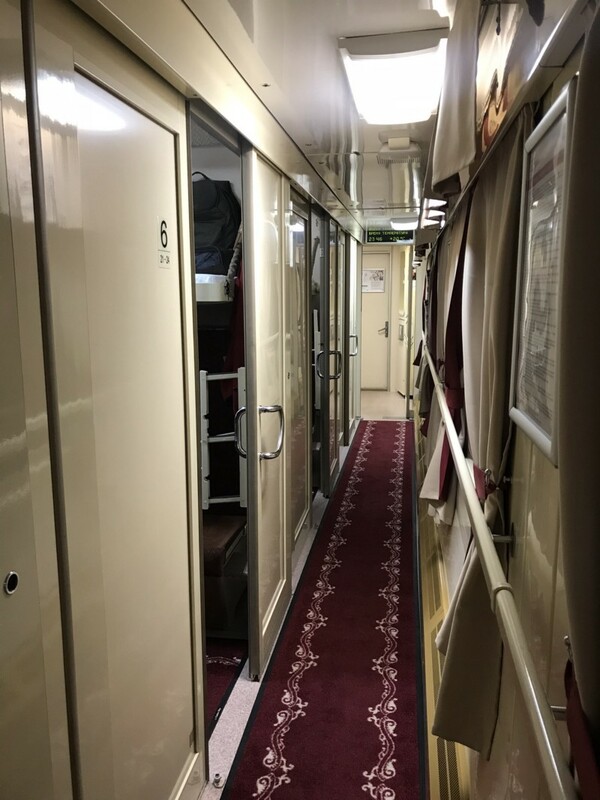 After a few days in St Petersburg I boarded the overnight train to Moscow. The sleeper train “Red Arrow” departs at 11:55pm. 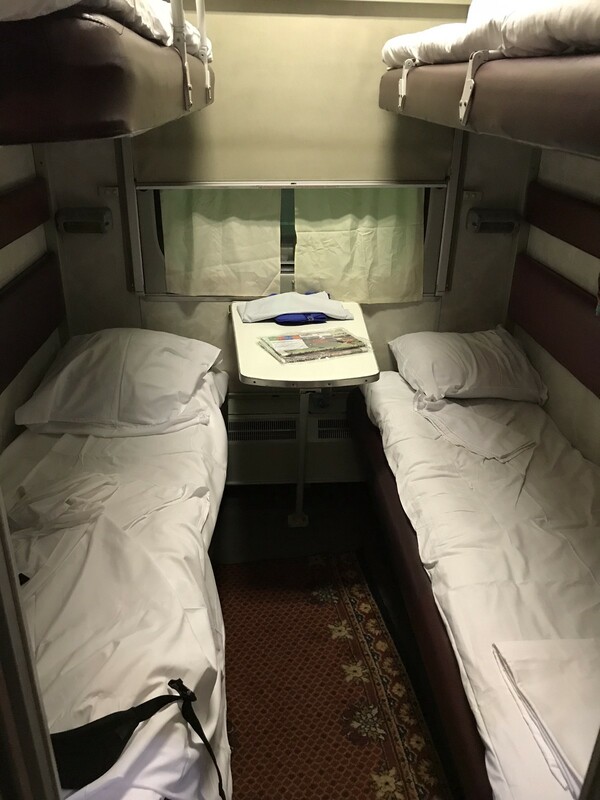 I read (but didn’t confirm) the departure time was set in Soviet times to leave before midnight so travelers could get reimbursed for two working days. The “Red Arrow” train to Moscow train leaves St Petersburg at 11:55pm sharp. Examine and unpack the supplied bedding. If foreigners are in the cabin, motion to them to follow your lead. Exit the cabin to give others room to make their bed and, if they wish, to change into sleeping attire. Return when appropriate, and begin smalltalk to spark a deep and cross-cultural conversation that’ll grow richer and bring you closer together with every mile of track until the morning golden hour. Except the Brazilian men didn’t speak English, and the girl, probably on-guard, remained silent. I went to sleep. Carpeted hallway of the second-class car. Upper berths of the four-person, second-class cabin. It wasn’t the rocking that stirred me awake every hour, but the impressive guttural symphony coming from the man below me. The snores came in different tones and rhythms, transforming mid-breath with no particular pattern, which made them difficult to ignore. (A few days later, Tatiana, another cabin-mate, refuted my story by telling me sound doesn’t travel upwards. “Then he cheated physics,” I said.) I forced my earplugs deeper and felt relief that this is only a seven-hour trip. By morning the Brazilians still didn’t speak English but the girl was more inviting. She’s a mother of two—which surprised me—and was headed to Moscow for a meditation seminar. I made whatever smalltalk I could fit between bites of fried cheese fritters until we arrived in Moscow. Metro station “Clean Ponds” in Moscow. The only available bench was next to a group of Russian men still drinking from the night before. One of the men was slumped over, another was drying in the sun after taking a dip in the pond, another was throwing fists at the wet one, and the rest were fighting to stay upright—only because it’s easier to keep drinking when upright. I decided against napping, and instead enjoyed the scene unfolding to my left. A woman approached and sat next to me, holding her small dog, and complained about the park’s occupants. Following a light conversation, she lit a cigarette, told me about her (deceased) husband’s medical invention, and proposed I introduce the product to the US market in return for a cut of the profits. She did this while parrying advances from one of the men. (“I have a job and own an apartment in a good location, behind the McDonald’s,” he said.) She gave me her phone number before leaving, probably dreaming of business ventures in America that will not happen. When the woman left, the party group noticed me. “Where the f— did you come from? !” one of them said. I was prepared to give (and take) a few hits and run, but managed to ease the tension with some jokes and handshakes. I gave up on rest and went in search of coffee and breakfast. Saint Basil’s Cathedral at the Red Square in Moscow. Irina is a lawyer living in Moscow who’s trying to improve her English. We met on a language-learning website, and arranged to meet in person to walk through the Red Square and practice English/Russian. 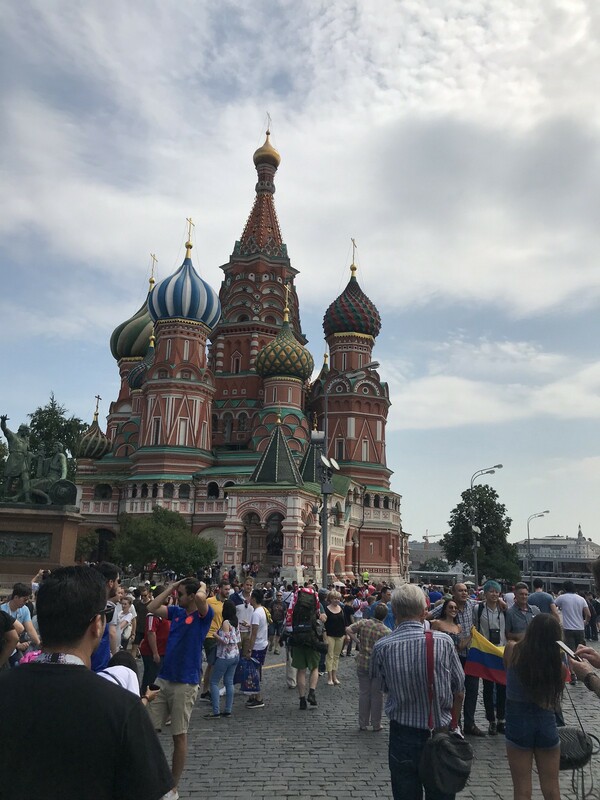 The Red Square was staged for the World Cup and crowded with tourists. It felt like the Russian version of Times Square, which I found intolerable. I snapped some shots and hurried us to lunch. We found a Georgian restaurant just off the main boulevard and spent the next hour chatting about Russia’s legal system, language exams, graduate school, and how long could it possibly take to cook chicken. In 2007 I was supposed to visit St Petersburg aboard my college’s training ship. My cousin warned me I should brush up on my Russian: “We have smart relatives there, don’t embarrass yourself.” I searched for Russians to chat with online and found Polina. We spoke every other day in the months leading up to my voyage that summer. I started to like her. We made unrealistic plans for her to travel from Moscow to St Petersburg to meet me for the few days I’d be there. It never happened. Just days before my ship’s scheduled arrival, the captain diverted us to Estonia after failing to get the proper docking permits or visas for Russia. Polina and I exchanged only a few emails over the next decade. This time, the plan worked. 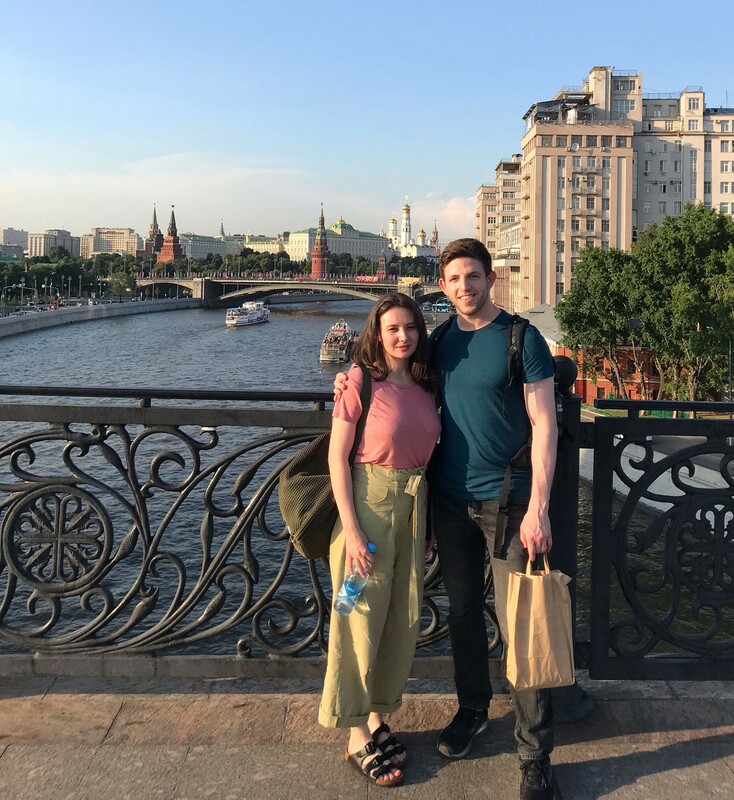 We met and crisscrossed the Moskva river over bridges as we spoke of life in Russia, her newborn son, traveling, her dreams of returning to freelancing, the things we still do and those we don’t… I don’t remember where we walked or what we passed. The thought made me happy but also underscored the passage of time. We were far from 19, and we both found love on native soil, and she became a mom, and I had to catch the train to Yekaterinburg before midnight. Polina and me in Moscow. 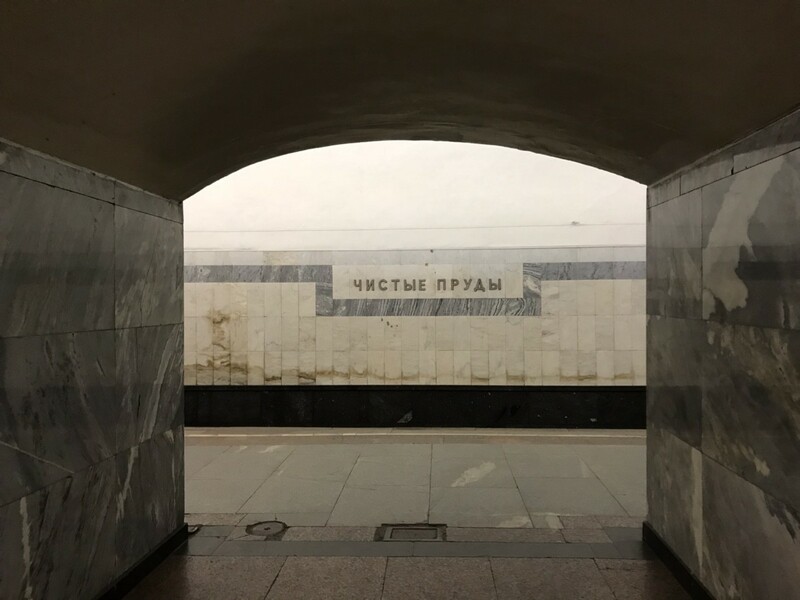 After saying goodbye to Polina, it was time for the next segment of the Trans-Siberian Railway: A one-and-a-half-day ride to Yekaterinburg. I stocked up on ramen noodles and tea, and made my way to the train. Typical four-person cabin in the second-class car. 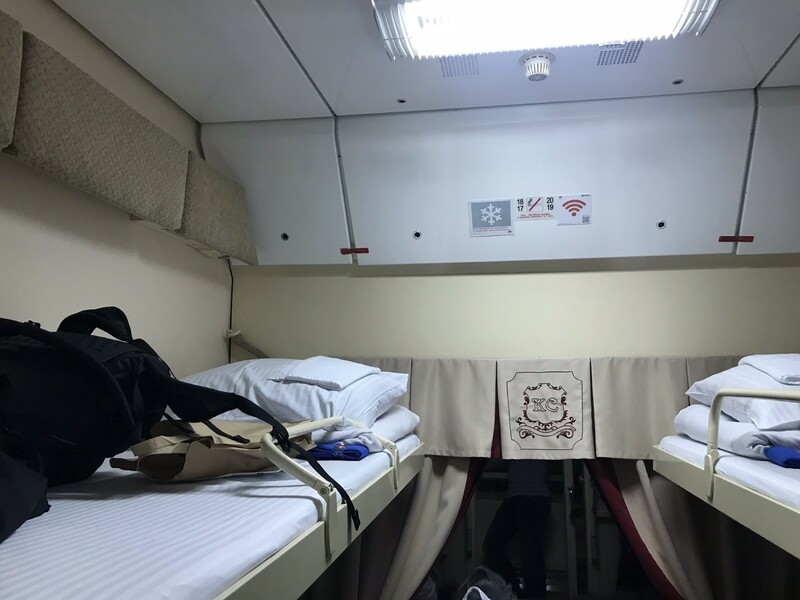 Riding the Trans-Siberian Railway is interesting for two reasons: The train itself, and the people on it. 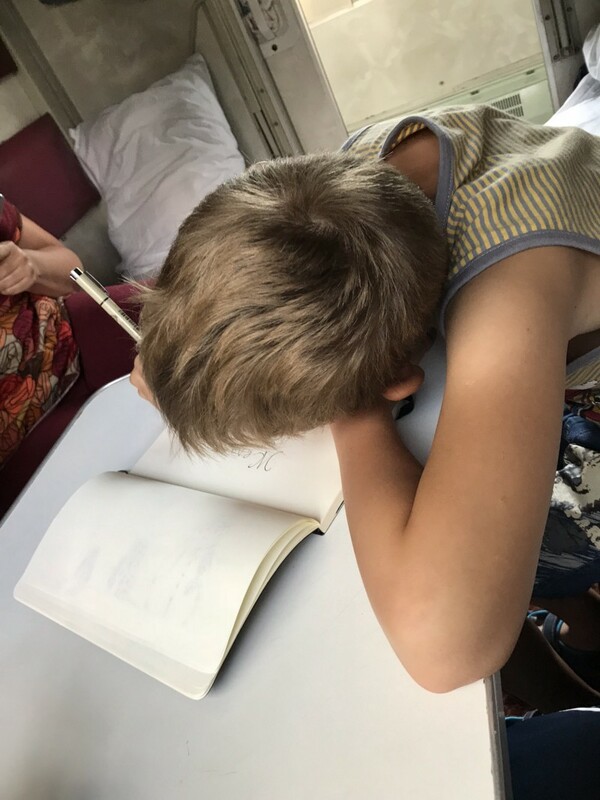 Life aboard the train doesn’t differ much from one segment to another, so I will write a separate article of observations and survival tips learned throughout the entire trip. The people, however, did change with each segment. 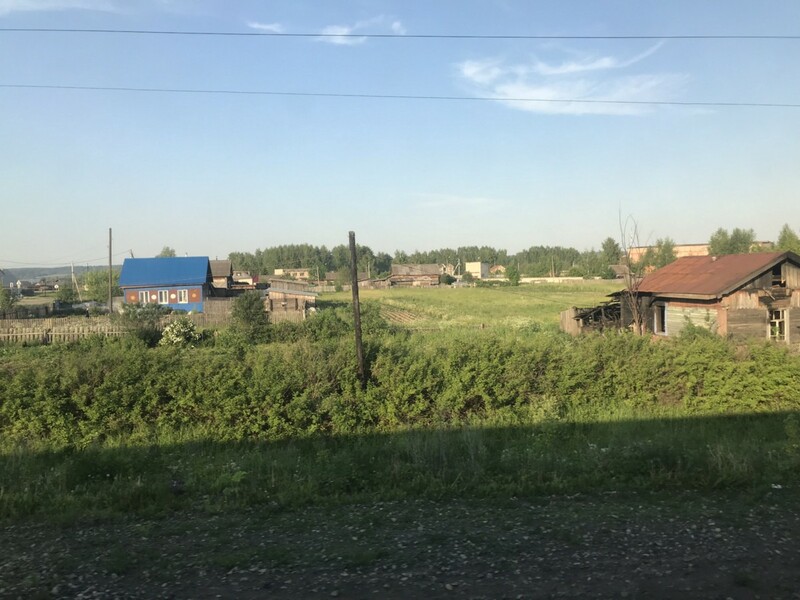 On this segment from Moscow to Yekaterinburg, as urban sprawl gave way to dense forests and wooden villages, I got to know a family from the Far North. The railway passes many small (and poor) villages, with single-level wooden homes. View of the Russian countryside. 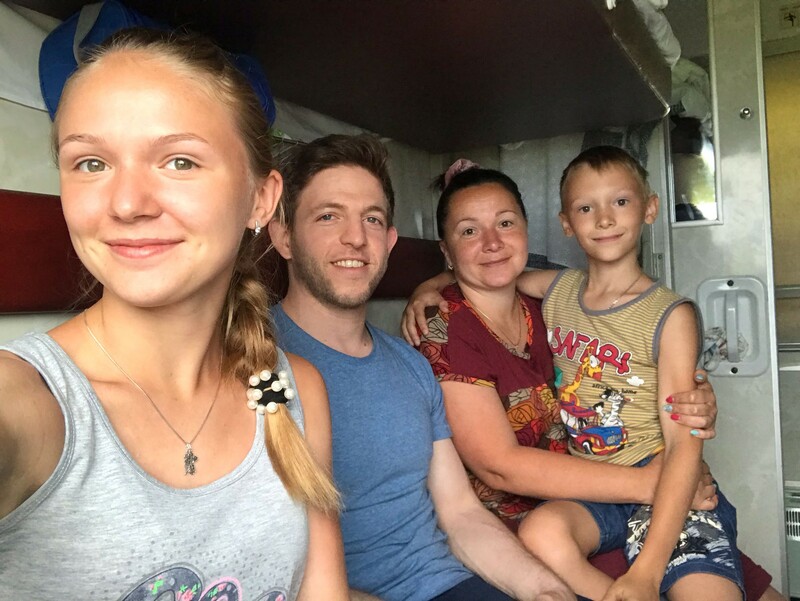 My roommates for the 27-hour trip from Moscow to Yekaterinburg were Tatiana and her two children, Nastia and Sasha. Within minutes of departure I took off my shoes to get comfortable and waited for the hallway activity to calm down before preparing for bed. Tatiana, somehow sensing my inexperience with long-distance train travel, pointed at the blue disposable slippers that came with the provided bedding and gently suggested I put them on. I thought they were silly and not for someone who’s used to rough traveling, so I responded that I’m alright in my socks. She tried to convince me a bit longer before giving up. Moments later, I went to the bathroom—there’s one at each end of every car—and learned they’re just like airplane bathrooms: small and wet, and you don’t know from what. I returned to the cabin, changed my socks, and donned the blue disposable slippers. Tatiana looked on with approval. 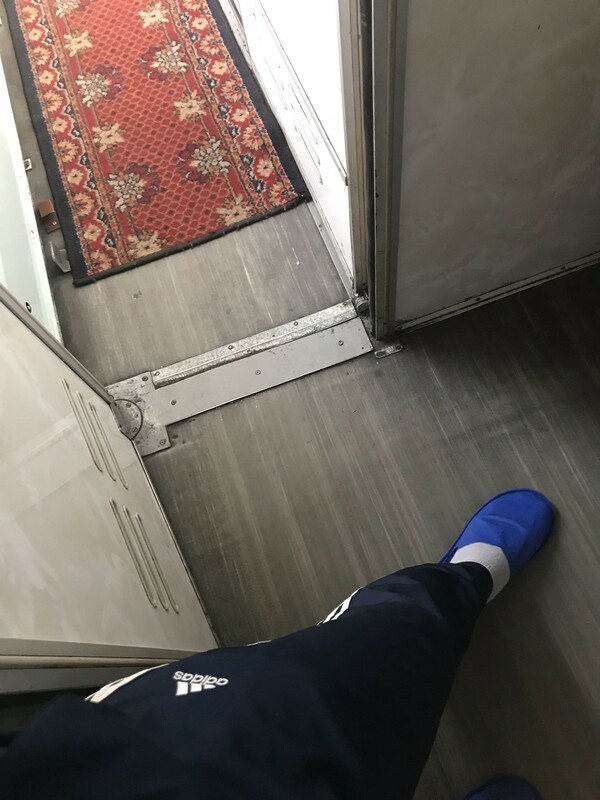 Disposable slippers are provided to all passengers. They were traveling from their small military town near the Russia-Finland border (where her husband is stationed) to Novosibirsk — over 3,000 miles away — to visit her parents, as they do every summer. Airfare would cost them three months’ worth of income (by my own calculation), so they took the train, like many Russian families traveling to or from Siberia. Our conversations spanned life in Russia, life in the US, Nastia’s college ambitions (she’s undecided between medicine and chemistry), traveling (because of the husband’s position in the military, the family is not allowed to travel outside of Russia), drawing, Russian literature, and more… We talked without end for two days while sharing food and drinking tea by the liter. Tatiana teaches literature and Russian at their local school. She told me about life inside the arctic circle and showed me photos of polar lights, fields of flowers, her shirtless husband stepping out of a bania (a Russian sauna) and jumping into the snow, and other everyday scenes. She worried about what will happen after her husband’s military contract ends next year. She’ll miss Nastia when she stays behind in Novosibirsk for one final year of school and then university. Tatiana also worried about my safety. 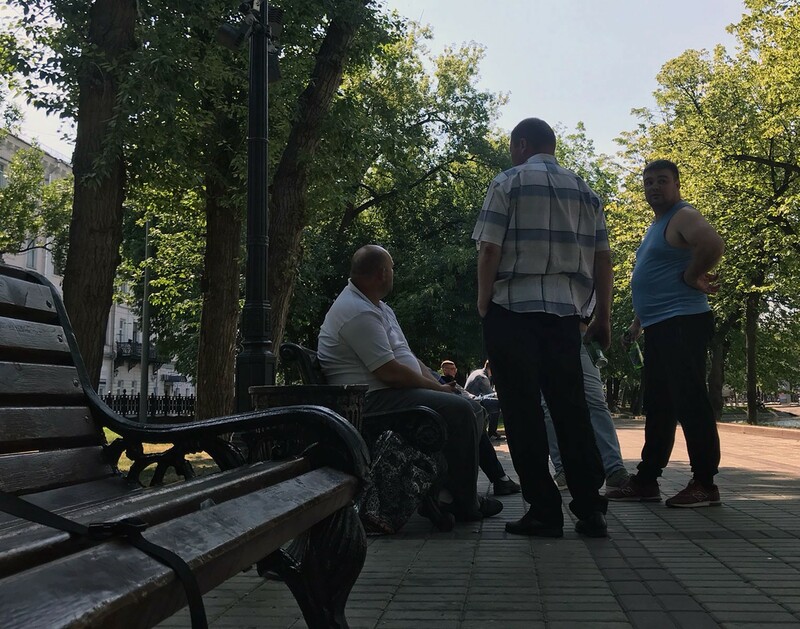 She advised me to tell people I’m a local: “Your Russian is good enough,” she said, “that people will believe you and assume that your slight accent and slower pace is due to—” and she raised her fingers to her temple and did a twisting gesture. I nodded, thought for a moment, and decided that was a compliment. 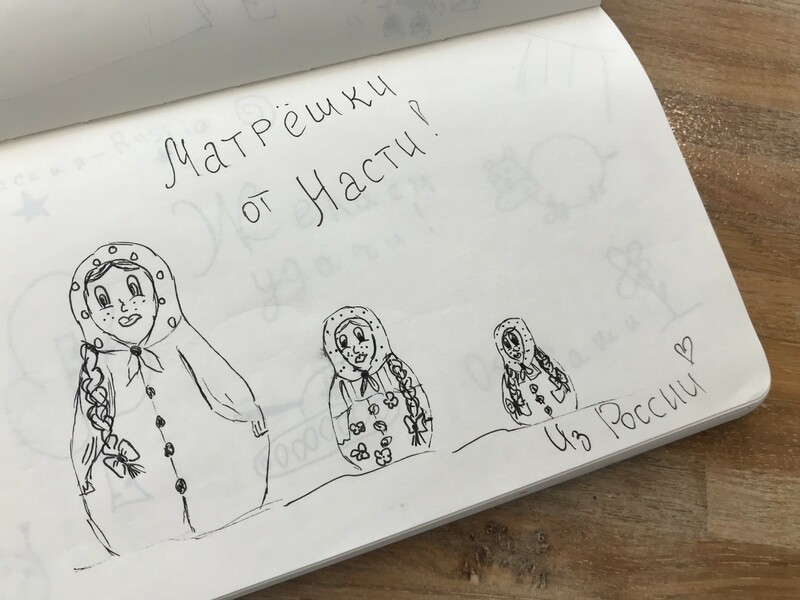 Nastia drew matryoshka dolls in my journal. Nastia earns money on the side by painting custom designs on her clients’ nails. Her designs—from cartoon characters to landscapes to sunsets, all painted on half-inch-wide keratin canvases—are remarkable and belong in high-end nail salons of New York. I offered her some advice based on my consulting experience (she should charge more for more the elaborate designs). Her entrepreneurial spirit made me happy for her, maybe because it reminded me of my teenage years when I drew cartoons for money. 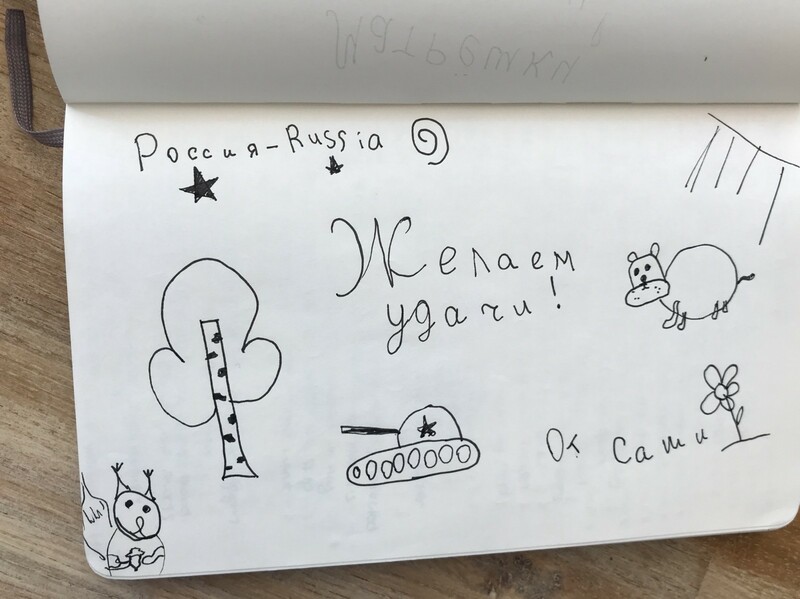 Sasha drew whatever he wanted in my journal. 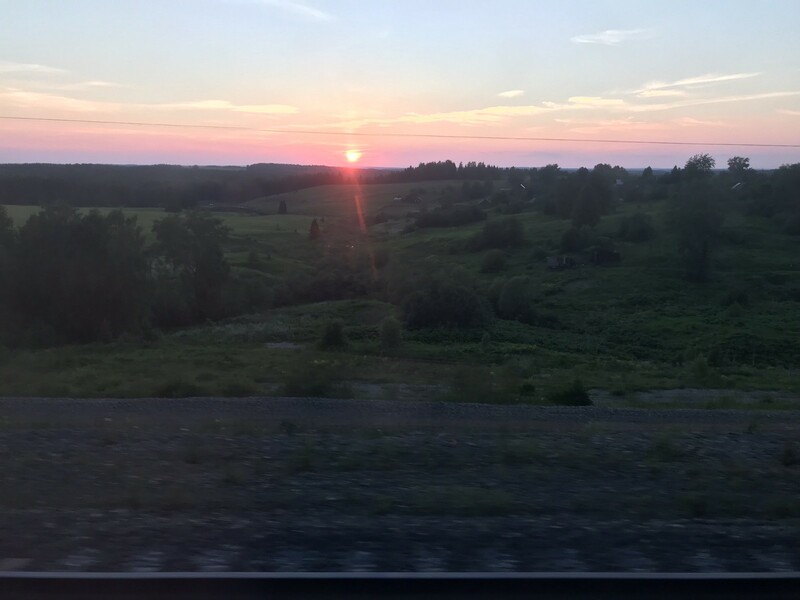 A sunset over hills of Russia, seen through the train’s thick windows. 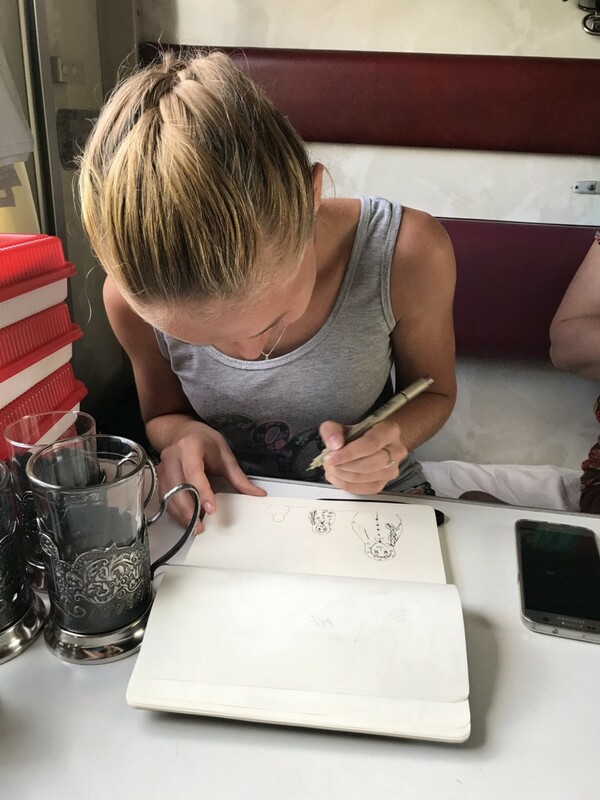 The next day, as the train approached Yekaterinburg in the early morning, I nudged Tatiana and Nastia awake to say “goodbye,” as they requested the night before, when we exchanged longer goodbyes and I told them how wonderful it was to meet and spend time with them. “Goodbye, Greg,” they replied, and both gave me a smile that I didn’t expect from anyone whose sleep was interrupted, who’s been on the road for weeks, who wouldn’t see her daughter (or mother) for a year, whose future was so uncertain… And still they smiled in the way that only good people do.